When I say “romance” you probably don’t immediately think “Iceland.” But as someone who travels for a living, often with my husband, I’m here to change your mind. We’ve been to Iceland seven times, often in winter. It is by far one of my favorite places in the world, and one of the most romantic, even (especially) when blanketed in snow. Iceland’s nickname, “land of fire and ice,” is apt. It’s got volcanoes, waterfalls, and hot springs as well as stunning architecture, delicious food, and of course, the Northern Lights, which are best seen in the darker months of September through April. Iceland’s diminutive capital is home to just 200,000 people, or about two-thirds of the country’s population, and you can easily cover the downtown core on foot. 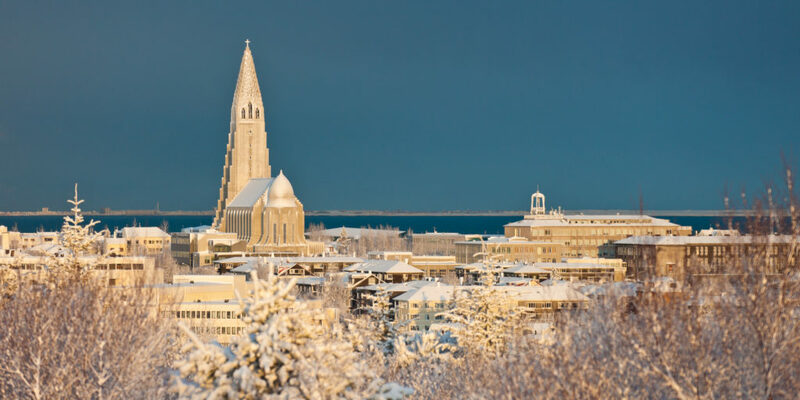 Climb to the top of Hallgrímskirkja church tower, the tallest building in the city, and get a bird’s-eye view of the adorable city, candy-colored houses, and snow-capped mountains across the bay. 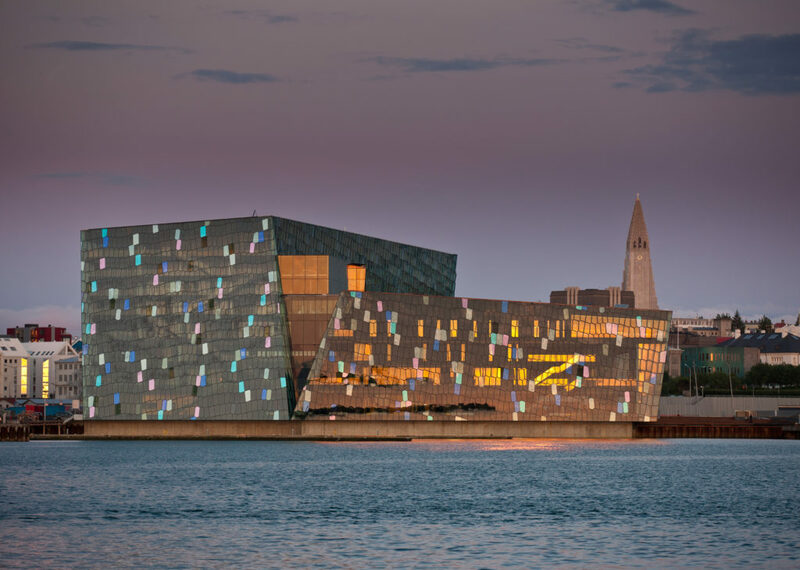 Despite its size, Reykjavik has everything you’d want from a cosmopolitan city: hip bars and restaurants, cozy cafes, designer boutiques, great art museums, and a world-class opera house, the Harpa concert hall, a beautiful work of architecture that is illuminated with colorful lights at night. And Reykjavik’s nightlife is legendary. Even in winter, crowds fill the downtown core as they go from club to club along Laugavegur Street. The party gets going around midnight and can last until 5 a.m. Thanks to Iceland’s small size, you only need to travel a short distance out of the city to get a glimpse of incredible scenery and natural wonders. You can visit several of Iceland’s most popular sights on an easy day trip from Reykjavik, and you won’t need a specially outfitted 4WD vehicle. For example, the most popular day trip route, the Golden Circle, is about an hour from the city and easily accessed on smooth, paved roads. The route includes The Great Geysir, which sends steaming water hundreds of feet skyward; Gullfoss, a thundering multi-tiered waterfall; and Thingvellir National Park, the site of Iceland’s (and the world’s) first Parliament and a stunning valley where visitors can walk between the Eurasian and North American continental plates, which are slowly growing apart. It’s even possible snorkel above the rift in incredibly clear waters, outfitted in an extra-warm dry suit. A bit farther afield, but still easily accessed in winter by the country’s main highway, the Ring Road along Iceland’s south coast is full of breathtaking beauty. There’s Seljalandsfoss, a waterfall you can walk behind, the 220-foot Skógafoss waterfall, the black sand beach of Reynisfjara with its unique basalt rock formations, and the glacier lagoon Jökulsárlón, where you can take a zodiac boat ride among icebergs. Though you could travel the 828 miles of the entire Ring Road around the island’s circumference at a leisurely pace in less than a week, it’s not recommended to take on such a feat in the depths of winter. Iceland doesn’t get as cold as you might—temperature is usually on par with New York—but the weather is unpredictable and blizzards and strong winds can come on quickly. It’s better to choose one or two areas to explore, pay close attention to the weather forecast, and give yourself plenty of time should you need to cancel a day’s driving in case of extreme weather. Another option for venturing farther afield is AirIceland, which offers short flights from Reykjavik to Isafjordur in the remote and rugged Westfjords, the charming university town of Akureyri in the north, and the gateway to the Eastern Fjords, Egilsstaðir, in the country’s far northeast corner. With geysers, volcanoes, and hot springs at every turn, Iceland is a hotbed of geothermal activity; in fact 25 percent of the country’s power comes from geothermal sources. 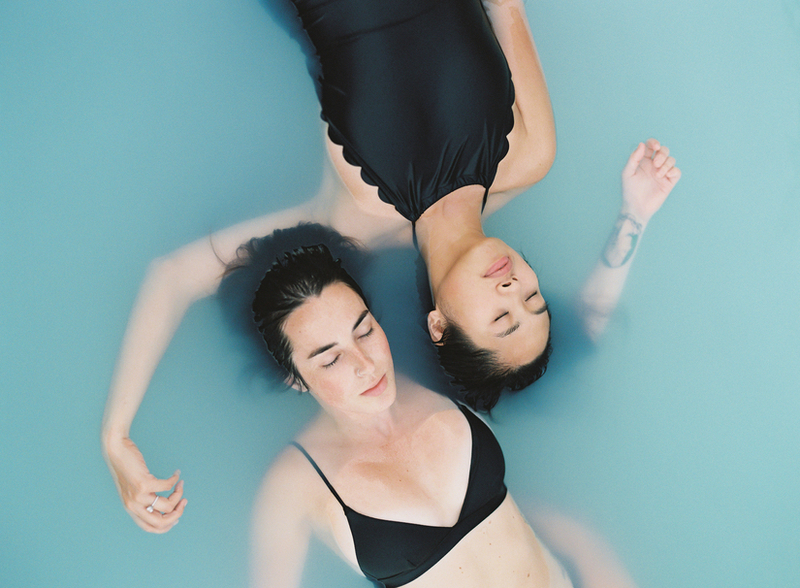 Around the country, these hot springs have been harnessed for the enjoyment of the people. Nearly every town, no matter how small, has a swimming pool with hot, spring-fed water. In Reykjavik, there’s Vesturbæjarlau, a heated lap pool with sauna and steam room and four hot tubs (or hot pots, as the locals call them). 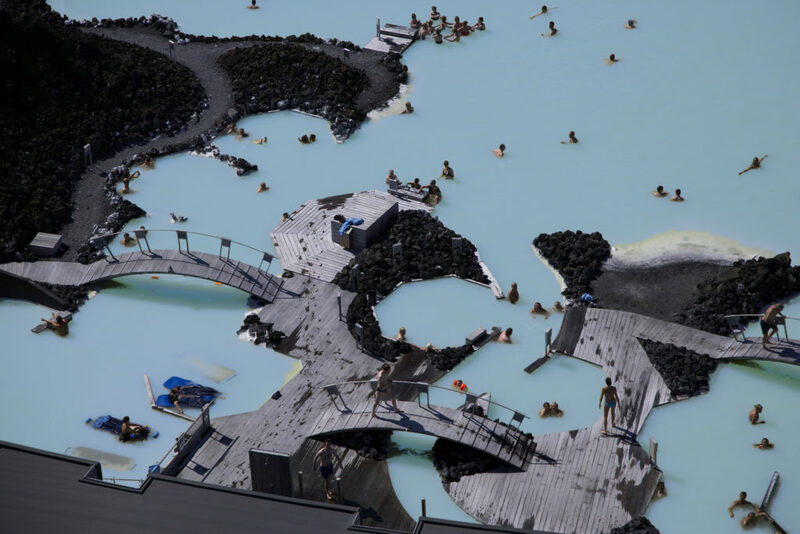 With an hour of the city, there’s also the famous Blue Lagoon, known for its neon blue mineral-rich waters; the natural Secret Lagoon, which is open late into the evening for Northern Lights watching; and Laugarvatn Fontana, a spa and wellness center with several pools of varying temperatures. Icelandic food may not have taken the international culinary scene by storm, but it’s delicious and fresh, with a focus on meat, seafood, and dairy. There’s sweet langoustine, often served in a thick, rich bisque; delicately fried or sauteed cod and other local fish; and incredibly tender free-range lamb that comes grilled or braised, in soup, and even in the country’s famously delicious hot dogs. For a romantic night out, check out New Nordic cuisine at Dill, where traditional Icelandic ingredients are used in imaginative ways. Or try Lækjarbrekka, a cozy candlelit space in one of Reykjavik’s oldest houses, where the lamb is braised in red wine until it melts in your mouth and the lobster soup is swirled with sherry and topped with a generous dollop of cream. Fish lovers should head to Thir Frakkar for a traditional, belly warming plokkfiskur—boiled whitefish hashed with butter, potatoes, and onions, and topped with a creamy béarnaise sauce that’s broiled until lightly browned and crispy. Thanks to Iceland’s tourist boom, there are plenty of high-end hotels around the country. In Reykjavik, the Kvosin Downtown Hotel is perfectly situated, has an onsite bar and free breakfast, and features stylish rooms with mini-kitchens. For those who want more privacy, the apartments at Room With a View deliver luxury studios with kitchens, private balconies, and Jacuzzi tubs. Outside of the capital in south Iceland, there’s the award-winning, four-star ION hotel with floor-to-ceiling windows that overlook the surrounding lava fields, or the four-star Hotel Ranga. For something a bit cozier, there are also hundreds of adorable bed and breakfasts, cabins, and farmstays (Icelandic Farm Holidays is a great resource for finding the latter). In Stykkishólmur on the Snaefellsnes Peninsula, two hours from Reykjavik and accessible in winter, the Hofdgata Bed and Breakfast overlooks the colorful town and the beautiful harbor, which was used as filming location in The Secret Life of Walter Mitty. In the town of Isafjordur, tucked into the mountains of the remote Westfjords, the Gentle Space Guests Apartments provide stylish luxury apartments. And on the south coast, farmstays like Vatnsholt and Guesthouse Lambastadir offer cozy accommodations on working farms where you can get up close with sheep and horses. Iceland’s unique geography and varied landscapes make the perfect backdrop for incredible once-in-a-lifetime adventures. Though you won’t be camping or visiting the remote highlands of the interior during winter, many of the country’s most famous attractions and experiences are open and accessible all year round. Depart from Reykjavik harbor to search for whales in Faxa Bay, or travel just twenty minutes outside the city center to ride a stout, furry Icelandic horse through moss-covered lava fields. Descend 400 feet into dormant Thrihnukagigur volcano or wander through a manmade cave inside Europe’s second-largest glacier, Langjökull. Hike on a glacier, go ice-climbing or snowmobiling, or ride on a dogsled. For the ultimate look at Iceland’s stunning scenery, splurge on a helicopter tour; tours fly over some of the country’s most famous sights including waterfalls, geysers, and volcanoes. 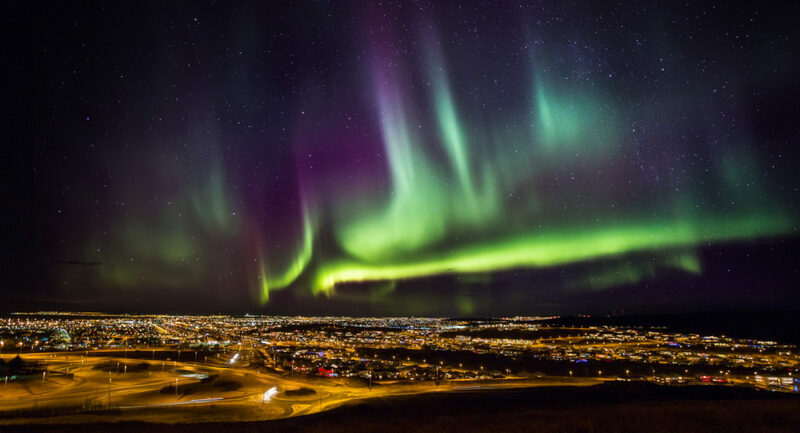 Of course, the most coveted Icelandic experience is the Aurora Borealis, or Northern Lights, an elusive phenomenon that requires darkness, clear skies, and solar activity. Many hotels offer wake-up calls if the lights show up and several companies offer tours to view the Northern Lights on land or by sea. The lights are never a guarantee, but they’re only visible in the colder, darker months (September to April) and the sight of the green, blue, or purple waves of light dancing slowly in the sky is one you’ll never forget. Katie Hammel is the marketing manager at Go Overseas as well as a freelance travel writer. Her work has been published by BBC Travel, the San Francisco Chronicle, New York Daily News, and other publications. She lives in San Francisco.